There’s no need to cook twice to please the adults and kids in the family. 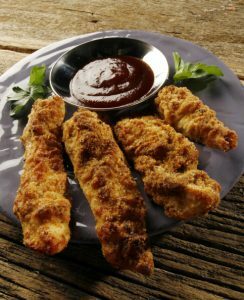 These chicken fingers are kid favorites, but are also sophisticated enough for adults to savor. The cranberry-BBQ sauce adds kick to the crunch, and the flavor will bring back a taste of summer. Heat oil in a deep fryer or saucepan to 350°. Add chicken and fry for 3½-4 minutes. 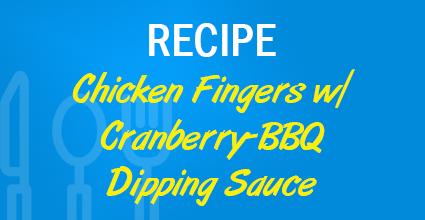 To prepare the dipping sauce: Using a food processor or immersion blender, blend cranberry sauce until smooth. Whisk in BBQ sauce, brown sugar and teriyaki sauce. Serve alongside chicken fingers.